1. The customer sees your call to donate in any media. Direct Mail,TV ads, web site. 2. The customer sends an SMS. 3. In seconds, Text2Donate calls the donor back and connects them to the donation payment gateway. 4. The donor is prompted through a payment process, and makes the donation into your chosen account. 5. The donor receives an SMS with a receipt number and web address that allows the donor to print out a tax invoice. 6. Your management team is emailed immediately with the details of the donation.  Anyone donating to your organisation deserves a simple and easy payment process. Text2Donate allows people to take action and donate the minute they’ve seen your advertising and made the decision to do it. It also makes use of a way to communicate that has become the norm for consumers. Texting is the preferred method of communication for tech-savvy consumer. Text2Donate allows your organisation to leverage a behaviour that is carried out by consumers on a daily basis – sending an SMS message.